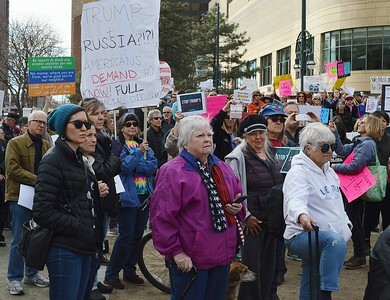 Over 500 people gathered in downtown Denver for "Resist Trump Tuesdays" rally. 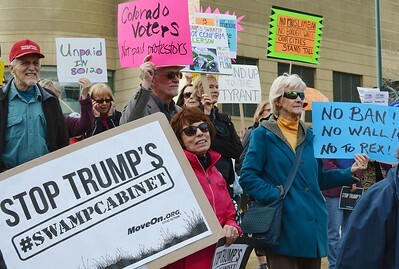 Protesters with signs at "Resist Trump Tuesdays" rally in Denver. 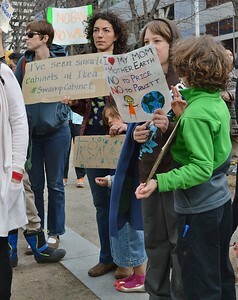 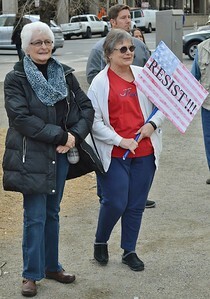 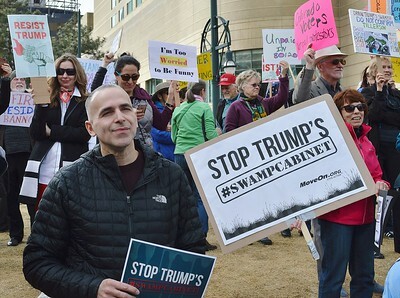 "Resist Trump Tuesdays" protesters holding signs about the "swamp cabinet". 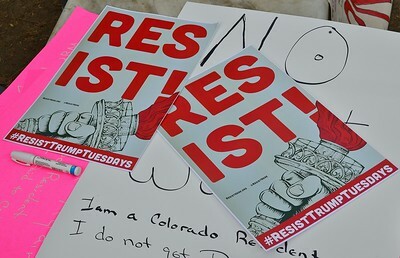 "Resist Trump Tuesdays" signs with Statue of Liberty hand on them. 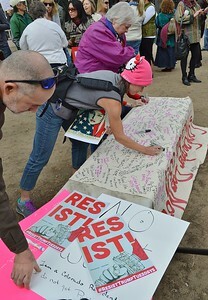 Large banner being signed by protesters at "Resist Trump Tuesday" in Denver, Co.
Anti Trump protester holding American flag. 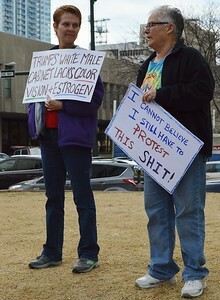 Two women at anti Trump protest in Denver, listen to speaker. 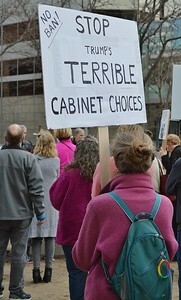 Woman holding sign about cabinet appointees at anti Trump protest. 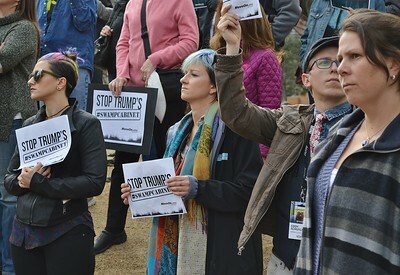 "Resist Trump Tuesdays" protesters with signs about Presidents Trump's cabinet choices. 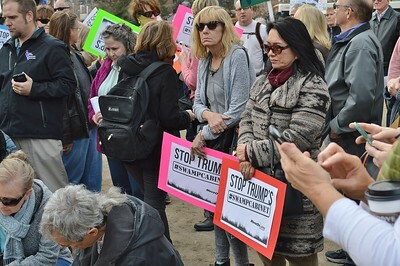 Protesters with signs about cabinet appointees listen to speaker at anti Trump rally. 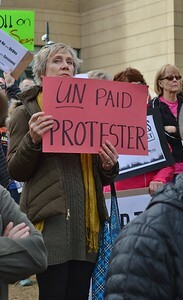 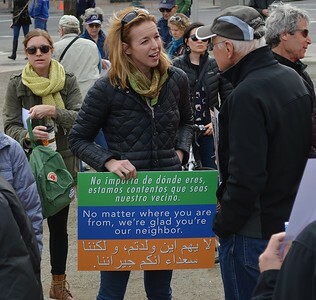 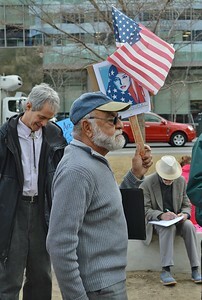 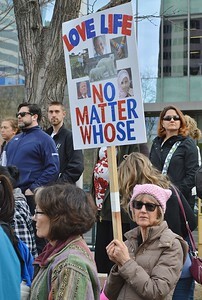 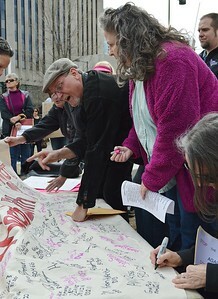 Woman holds sign in Spanish, English, and Arabic, about neighbors. 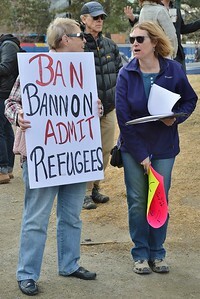 Woman holding pro refugee, anti Steve Bannon sign at "Resist Trump Tuesdays" rally in Denver. 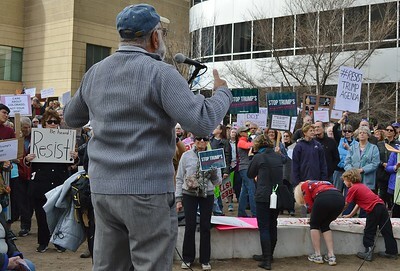 Speaker at Resist Trump Tuesdays rally gesturing to crowd of protesters. 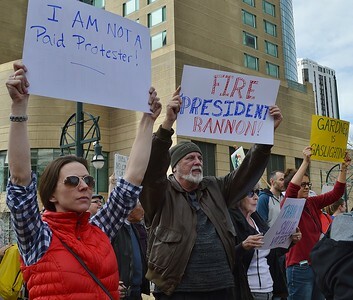 Protesters listen to speaker at Resist Trumps Tuesdays rally in Denver. 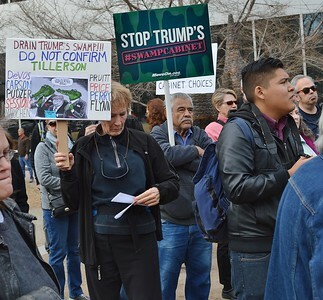 Protester with signs at "Resist Trump Tuesdays" rally in Denver. 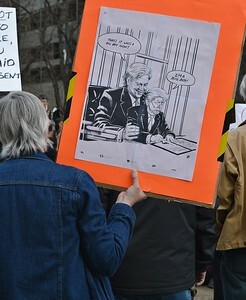 Protester at rally holding sign with cartoon about President Trump and advisor Steve Bannon. 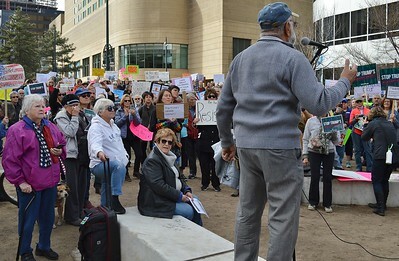 Large crowd of protesters listen to speaker at Resist Trump Tuesdays rally in Denver. 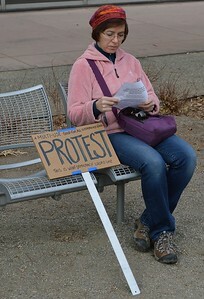 Woman sitting next to her "multi-use protest sign" at "Resist Trump Tuesdays" rally in Denver.